Erica Nicole Reynolds, 27, passed away on the evening of January 23, 2016 at the Serenity House in Santa Barbara, CA. She was surrounded by her loving family as her valiant 6 month battle with Ovarian Cancer came to a close. Erica’s Santa Barbara story began with her joyful birth at Cottage Hospital on July 19, 1988 to parents Doug and Loretta and older brother Justin. She attended Vieja Valley Elementary School, Foothill Elementary School, and was a member of the first graduating class at the revamped El Camino Elementary School. Her secondary school career was much easier to track as she attended La Colina Junior High School, where she was a member of the Emeralds dance team and sang in the choir, and San Marcos High School, graduating class of 2007. Erica participated in a wide variety of activities at San Marcos ranging from her work as an editor for the Royal Report, competing in the shot put, and ultimately acting as the student manager for the track team. Erica’s main love was dance, which she began at a young age and continued throughout her life. 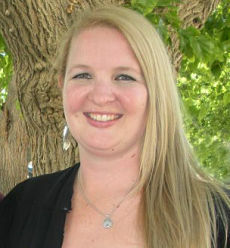 Erica’s various passions led her to attend Cuesta College before she decided to earn her Bachelor’s of Science Degree from California State University at Northridge in Tourism, Hospitality and Recreation Management in 2012. Highlights of her career in the event industry include collaboration with local planners, participation in the Fiesta Ranchera committee, and work with engaged couples at Santa Barbara Historical Museum. She was living in Mountain View, CA and working for Classic Party Rental prior to her diagnosis. “Creative,” “organized,” “dedicated,” and “energetic” are just a few of the kind words spoken about her. She laughed a lot, traveled extensively, and made the most of every day. She loved baking, shopping with her mom, celebrating Old Spanish Days, and enjoying a good red wine. While she worked hard, she took the time to escape with a scenic hike or a local beer festival with the love of her life, Kyle. Erica will forever be remembered as a great friend and wonderful daughter with an adventurous spirit, infectious smile, and compassionate heart. Erica is survived by her parents, Doug and Loretta Reynolds, brother Justin Reynolds, sister-in-law Erica Lynn Reynolds, ‘Oma’ Anne Hollander, grandparents Ed and Hallie Reynolds, boyfriend Kyle Sato, as well as aunts, uncles, and cousins living in Santa Barbara, Carpinteria, Lompoc, Stockton, Washington State, and Connecticut. She is preceded in death by her ‘Opa’ Jan Hollander and her Uncle Mark Reynolds. Her family would like to thank all those who supported them through this journey, especially Ruth and Greg Rech and the doctors, nurses, and staff of the Cancer Center and the 5th Floor South Oncology Department at Cottage Hospital. A celebration of Erica’s life will be held at 2pm on Saturday, February 27 at the Rancho La Patera & Stow House located at 304 North Los Carneros Road in Goleta, CA. In lieu of flowers her family has asked that donations be made in her name to the Scholarship Foundation of Santa Barbara, P.O. Box 3620, Santa Barbara, CA 93130; or towards a tribute in the healing garden of the new Cancer Center – Cancer Foundation, 601 W. Junipero Street, Santa Barbara, CA 93105.